If you’ve been following The Triangle Training Method for the two years that we’ve been putting out content for coaches, you’re aware that one of our primary pillars we teach and emphasize is this importance of ‘mannequin training’. In fact, two of our articles that shed some light on mannequin training were just named the two most popular coaching articles of 2016 by Amplified Soccer. We have also expanded our reach, with our training method being implemented in 36 countries and counting. 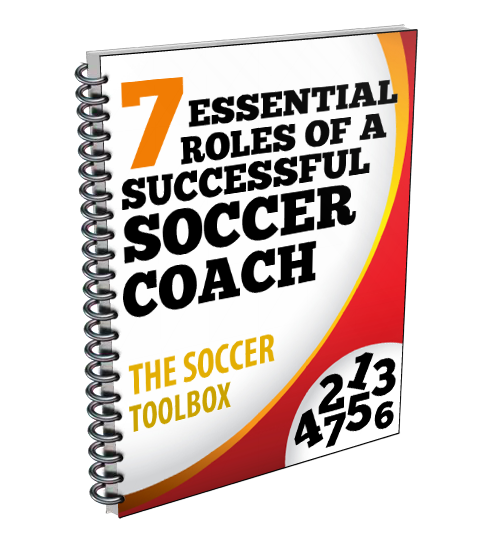 Clearly, this particular topic is of great interest to many coaches around the world. In an effort to provide even more clarity, we would like to propose a revised phrasing of the term ‘mannequin training’, and change it to something that more fully discloses why the Triangle Training Method has experienced such rapid growth and interest in such a short time globally. This new phrase is called pattern recognition training. So, why this new term? Well for one, we believe that the term “mannequin training” is actually missing the point. Yes, top European clubs and elite coaches the world over have often used mannequins to conduct this style of training and develop the best players in the world. However, we have found that it is not the height of a traditional mannequin that is most important, but the space that the mannequin takes, to assist with players visualizing where a defender is on the field. By only occupying the space of the mannequin, we have simplified this type of training and made it more portable and at a fraction of the cost, unlocking this method to a much larger audience of coaches. Furthermore, what is most important about the Triangle Training Method, and the point that many coaches may be missing when they hear the term “mannequin training”, is that this training style specifically educates players in the kinds of patterns that have the most success on the field. Training these specific patterns develops selective attention within players. Selective attention is important in soccer because it helps players organize the chaos, and make the right decisions, faster. With our training method, players will be getting maximum repetitions of the many different potential patterns within these shapes that will allow them to have success on the field. Using pattern recognition training, players will be given the opportunity to understand the most effective patterns on the field, the correct spacing within those patterns, and the proper timing both on and off the ball. They will also simultaneously be training the proper techniques of passing, receiving, dribbling, turning, and shooting that are essential as well to player and team success. Free play, of course, is extremely important in training as well, and we offer examples of how to smoothly transition from pattern recognition training using the triangles, to small sided games so players are able to practice these patterns and freely make their own decisions both on and off the ball. We suggest that your job as a coach here is to positively reinforce players when they successfully recognize and attempt a pattern during free play. This reinforcement by you will aid to further strengthen your players selective attention and ability to recognize patterns. So how does all of this translate to the end goal, that is, playing beautiful soccer and winning games? Pattern recognition training, coupled with small sided free play games, and your positive reinforcement as a coach over time, will translate to your players making quick, split second decisions both on and off the ball. Their mind is the key to their success. They will be able to think quicker and therefor act quicker. Players will instinctively move to the right supporting areas of the field, at the right time, and at the right angles. Through recognition of patterns, players will begin to understand the game at a more advanced level, allowing them the confidence to make their own creative decisions as a result. It will be a joy to watch as a coach.